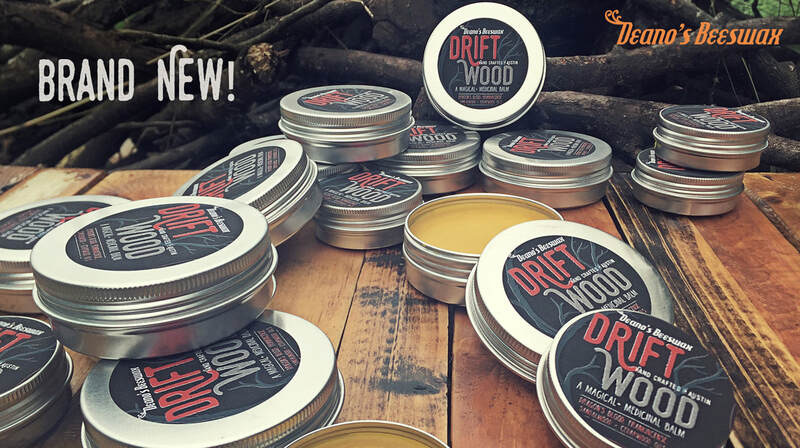 Crisp, dry wood with a light spicy musk make Drift Wood the perfect companion with your jean jacket this Fall. Dragon's Blood, Sandalwood and Frankincense are just a few of the deliciously Autumn flavors in this buttery balm. are built tough, have polyurethane finishes and are perfect indoor or out! Get back to the Mountains! Remember how great your favorite flannel shirt smells after a weekend camping in the mountains? The smoke of the campfire, peat from the edge of the creek and the leathery bite of the gear in night air. Well it's ALL in this balm! ​and cardamom for a fruity note and finished with black pepper and cumin seed oil for a grounded river water nod. The result is a perfect combination and the best camping trip you've ever had! Order the complete Alchemist Beekeeper Display for only $249 . Available while supplies last. Take it to the Extreme! An herbal analgesic pain relieving giant in a tin can. 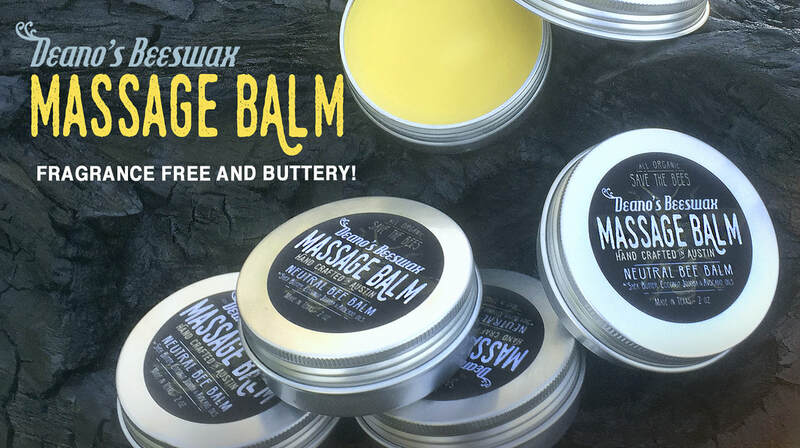 It's like organic Tiger Balm on steroids! All the greatness of our original Green Machine with Sage, Oregano and Tea Tree oil PLUS the added pain relieving punch of Camphor, Rosemary and Eucalyptus oil. GME is intense and is great for soothing congestion, clearing nasal passages, stimulating blood vessels, easing headaches and stuffy throats. 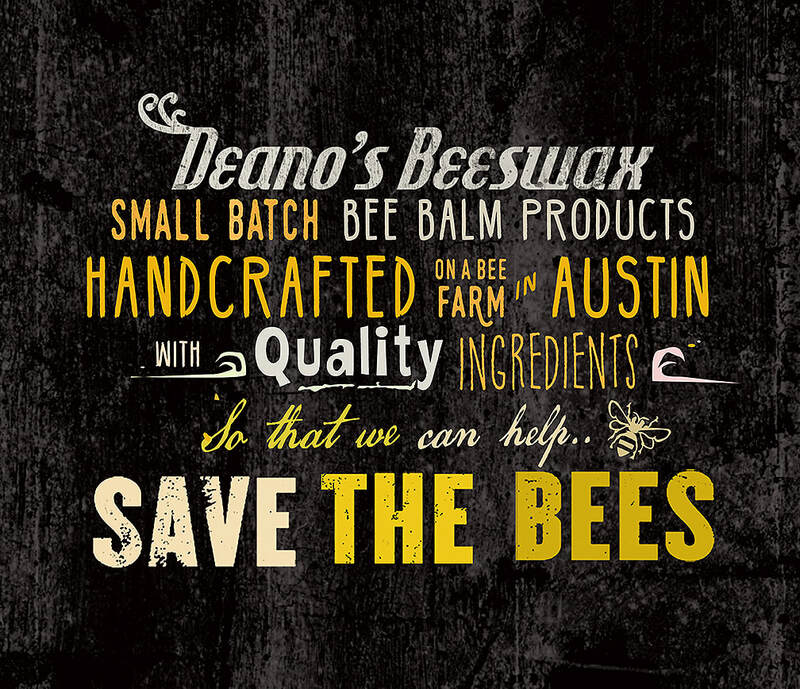 All the balms contain organic: beeswax, shea butter, coconut oil, jojoba oil, avocado oil, vitamin E oil and intense amounts of essential oils! ​These balms will condition hair, protect & heal skin and invigorate your entire body. NO Artificial Additives, NO Preservatives, NO Parabens, NO Petroleum. healing power of the honey bee. Condition your beard while enjoying our potent blend of essential oils. Beeswax and Shea Butter are the perfect, natural sculpting base. Jojoba and Avocado oil are probably the most effective natural ingredients for softening beard hair. Our Beard Balms contains all those oils and enough aromatic essential oil to make your beard smell great all day. Pamper your entire body with 100% all natural balms. No greasy oils or perfumes in these. Our Balms use creamy Shea Butter and Coconut oils that are absorbed by the skin. Jojoba and Avocado oil replenish your body's natural oils. Beeswax has antiviral and anti inflammatory properties that help fight infections and protect skin, without clogging pores. ​With our winning combos there's nothing better you can put on your body! Surfer Balm is the perfect post-session and preventative medicine for your sun, wind and water beaten skin. With more beeswax in this mix Surfer Balm stays on great in water and is the perfect skin soother when you get out. Extreme amounts of Roman Chamomile, Lavender and Tea Tree oils give this balm a powerful punch and killer aroma! 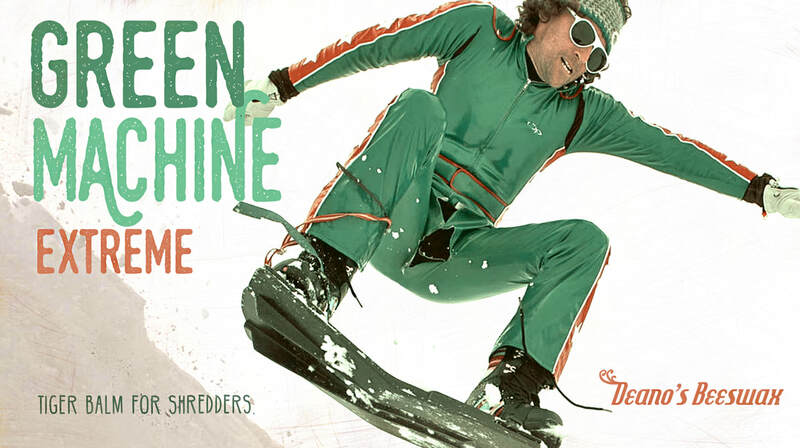 So whether you're in the water, on a mountain or in a rainforest, this extreme blend has got you covered! Booby Balm is loaded with the perfect essential oils to pamper Moms, Baby and anyone with delicate skin. ​Lavender's known for eliminating nervous tension, relieving pain and helping to enhance blood circulation. Chamomile is a soothing anti inflammatory and antioxidant. Coriander completes the blend with a high herbal note and is traditionally good for the stomach and the digestive system. 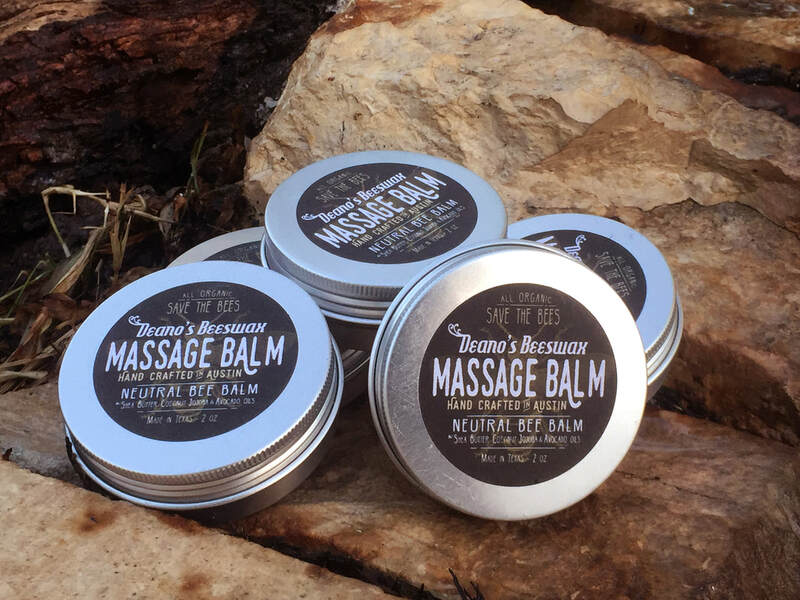 Massage balm was created specifically at the request of our massage therapist client Austin Massage Company. It is fragrance free and we used a little less beeswax in this pour to make it the perfect consistency for myofascial work. It is also excellent for anyone with sensitive skin that doesn't want any essential oils but needs the nourishing magic of raw African shea butter, jojoba oil, avocado oil, coconut oil and vitamin E oil. Organic Lip Balms in 4 exciting flavors. Peppermint, Sage, Honey, and our Super Citrus Kiss blend. These lip balms have so much delicious essential oils, you will smell them before you even open it! Plus an all star base of 100% natural oils will keep your lips smooth, hydrated and protected. ​Ingredient: Beeswax, Shea Butter, Coconut oil, Jojoba oil, Essential oils Avocado oil and Vitamin E oil. An intense amount of peppermint oil in a blend of shea butter, beeswax, jojoba oil, avocado oil and vitamin E oil. ​Peppermint oil's antimicrobial properties will protect with a powerful and familiar aroma that will invigorate the senses. Sage, Tea Tree and Oregano oil are our trifecta of herbal power! The stimulating and clarifying qualities of this blend are matched by their robust antiviral, antibacterial and anti-inflammatory properties. In a natural oil blend of shea butter, beeswax, coconut oil, jojoba oil, avocado oil and vitamin e oil. A lemongrass oil high note is rounded out with raw honey and a smokey clove oil base to create an exotic springtime experience. The natural antidepressant and analgesic effects of lemongrass help make this a peaceful and spicy ride. In a base blend of shea butter, beeswax, coconut oil, jojoba oil, avocado oil and vitamin e oil. A mouthwatering sweet and sour blend of Bergamot, Grapefruit, Orange and Coriander oils. This citrus supergroup has antibiotic, antiseptic, aphrodisiac, stimulant, antioxidant and antidepressant properties just to name a few. Everything you need for a happy and super sweet smelling beard! All that in a creamy balm of shea butter, beeswax, coconut oil, jojoba oil, avocado oil and vitamin e oil. Our gentle giant balm makes a huge impression with hefty measures of Australian Sandalwood oil and American Cedarwood oils. A high note of Bergamot adds a hint of lime to this woody, musky and herbal blend. With our base of natural Shea Butter, Beeswax, Coconut oil, Jojoba oil, Avocado Oil and Vitamin E oil, Woodland Axeman is an instant classic. Remember how great your favorite flannel shirt smells after a weekend camping in the mountains? The smoke from the campfire, peat from the edge of the creek, the leathery bite of the gear in the night air. Well it's ALL in this balm! We took smoked juniper and pecan branches, added woody sweet frankincense and sandalwood, cedar and cardamom for a fruity note and finished with black pepper and cumin seed oil for a grounded river water nod. The result is a perfect combination and the best camping trip you've ever had! An herbal pain relieving giant. All the greatness of our original Green Machine's Sage, Tea Tree and Oregano oil combination plus the added power of Camphor, Eucalyptus and Rosemary oil. ​Clear congestion, ease aches and pain, stimulate blood vessels, ease headaches and stuffy throats too. Dragon's Blood is a natural resin from a tree native to the Canary Islands and is believed to help heal wounds kill pathogens and promote health. Sandalwood, Frankincense and Cedarwood ground the higher notes with a dry fir feel that instantly feels like a crisp Autumn night. ​Peppermint oil's antimicrobial properties will protect skin with a powerful and familiar aroma that will invigorate the senses. Sage, Tea Tree and Oregano oil are our trifecta of herbal power! The stimulating and clarifying qualities of this combo are matched by their robust antiviral, antibacterial and anti-inflammatory properties. Soothing on the skin and heavenly to breathe.